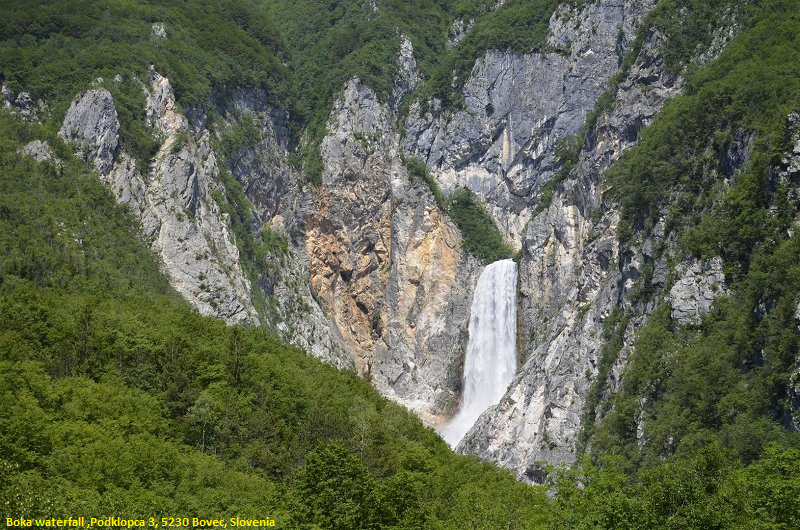 Boka is a waterfall in the western part of Slovenia, near the Soča River. It begins at a karst spring and has two stages, of which the first is 106 meters (348 ft) high and 18 meters (59 ft) wide, and the second is 33 meters (108 ft) high. The Boka waterfall is clearly visible from the Bovec-Žaga road. A marked, steep mountain trail leads from the left side of the bridge to a beauty spot that can be reached in 40 min at a leisurely pace.